Episode 219 - If heavy music is your thing, odds are that this man has had his hands on it. 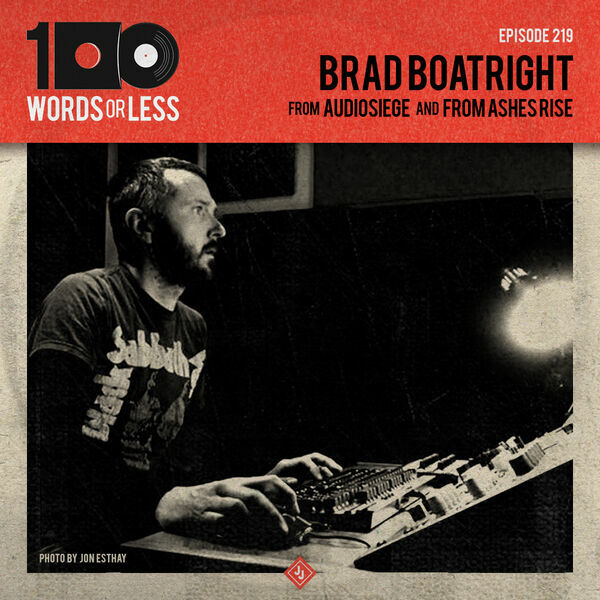 Brad Boatright is the talent behind the knobs at his studio, Audiosiege as well as the guitarist/vocalist of crust legends From Ashes Rise. We discuss his process of recording and mastering, the concept of “selling out” and being raised in the bible belt. Brad was very gracious with his time and I am proud to bring you this conversation. Dig in and enjoy! Consider being a Bone Marrow donor, like me. Join the registry today. Try Soylent today and get 50% off of your first case, with a subscription. It’s the complete meal, in a bottle.